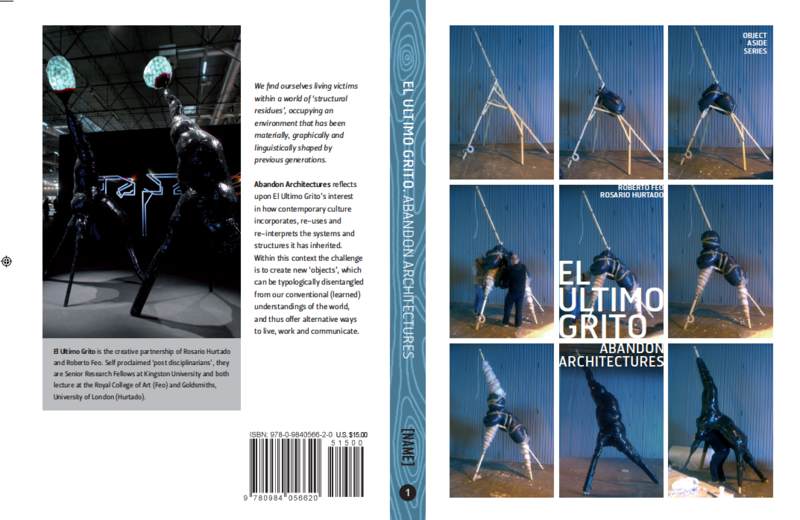 Abandon Architectures illustrates how the London based design duo EL ULTIMO GRITO approaches objects from a multiplicity of perspectives and utilizes design as the “process through which people materialize thought, as signs, symbols, objects, food, images, buildings, languages, etc.” The book reflects upon how contemporary culture incorporates, reuses, and reinterprets the systems and structures it has inherited. Founded in 1997 by Rosario Hurtado and Roberto Feo, EL ULTIMO GRITO’s work continuously researches our relationships with objects and culture. The studio’s output is across a multitude of platforms for an range of international clients, museums and organizations including Magis, Lavazza, Matadero Madrid, Marks & Spencer, Figueras, UNO, LABORAL, Museo Nacional de Arte Reina Sofia, British Airways, Claudio Buziol Foundation, the Sorrell Foundation and Victoria & Albert Museum. Their work is in the permanent collections of MoMA in New York, Stedelijk in Amsterdam and the V&A in London.